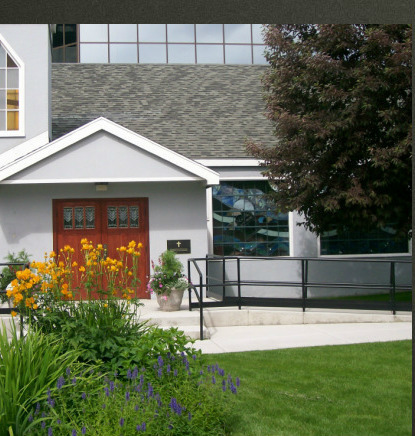 All Saints’ Episcopal Church has a rich history within the city of Anchorage and the Episcopal Diocese of Alaska. 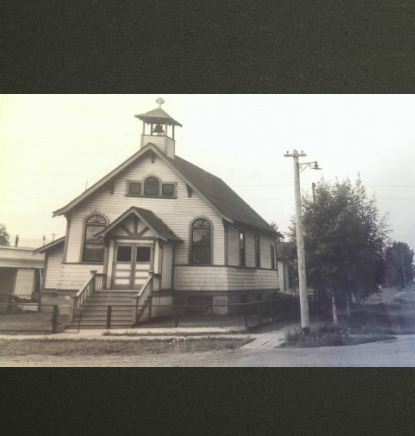 All Saints' was formed with the city of Anchorage, in the summer of 1915 with the first service held in a log social hall in Government Hill (the first neighborhood in Anchorage). 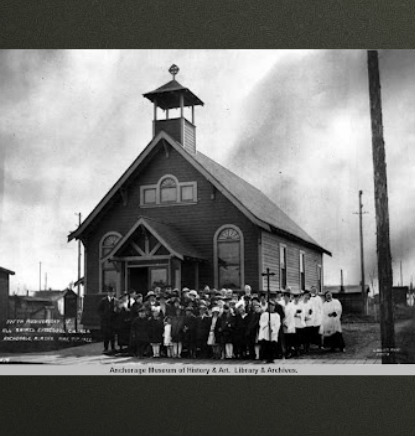 The first church building was constructed in 1917 and was one of the first buildings in the newly formed city. 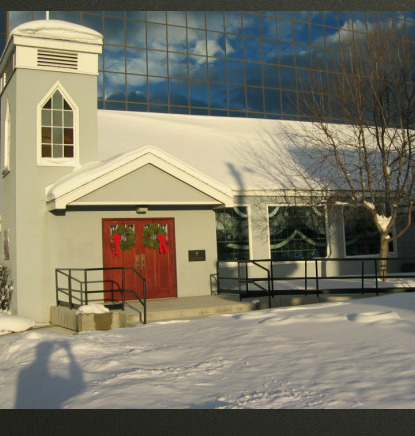 Due to the geographical issues that came with the location (it was located near a hill), the church building was moved to a new location in downtown Anchorage where it would remain for 30 years. In 1951, due to a need for more space, new lots in downtown Anchorage were purchased and construction began on our current building. 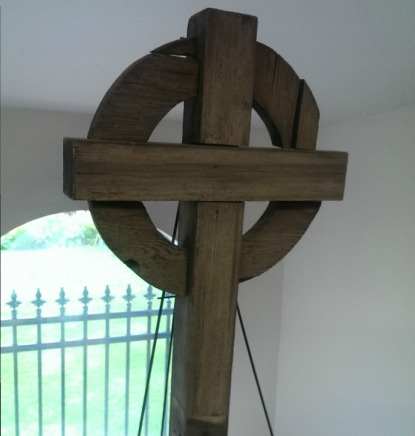 The chruch was dedicated in 1953 and construction was complete with the installation of the birch pews in 1955. 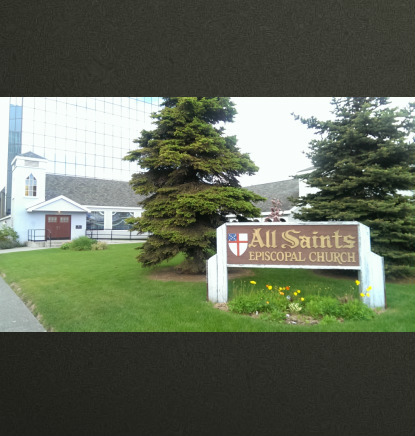 All Saints’ was considered by many to be the “Mother Church”; playing an active role in establishing other Episcopal churches in the Anchorage area while still retaining its position as a stable parish with continuing financial integrity and a strong emphasis on the traditional forms of worship. The current location at the corner of Eighth Ave and F Street holds sixty years of stories, if you come to church on Sunday, you might just hear one or two from our rector emeritus, Father Elliott.